St. John's Episcopal Church Pennywise Resale Shop was established to raise funds for the parish outreach ministry by providing quality merchandise for sale; the proceeds of which support local, regional, national and international social service agencies. All the items sold at Pennywise are donated by people of St. John's Episcopal Church of Naperville, and surrounding communities. 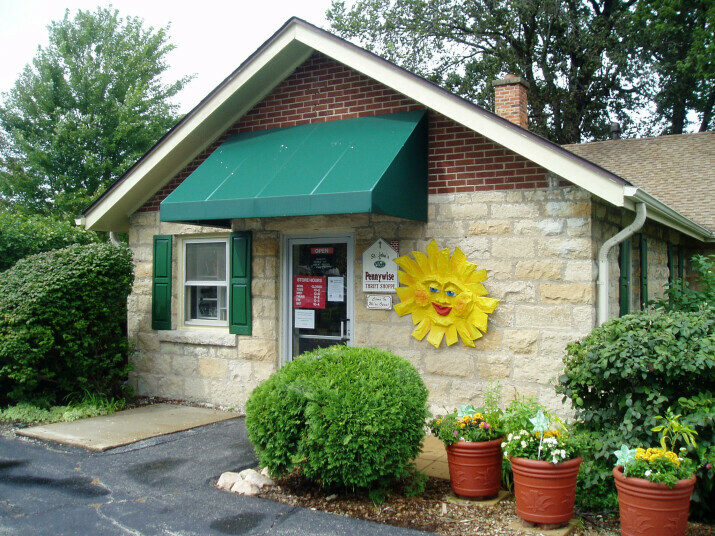 The shop is administered by St. John's Episcopal Church and has been serving the Naperville area since 1966. There are a few things we can't accept such as: large furniture, large appliances, pool tables, baby cribs, car seats, auto parts, computers, encyclopedias or used bed pillows. Also, items that have been recalled, banned or which do not meet current safety standards. Visit http://www.cpsc.gov for current information. We are always putting out new items so stop in and see what we have to offer! For more information you may also check out our website at www.pennywiseshoppe.org. Pennywise accepts strictly donations, no consignments. All donations are tax deductible to the extent allowed by the law. Please ask for a tax receipt when you drop off your donations, which are accepted any day during hours of operation. Please note that Pennywise will be closed July 1 through July 4. Regular shop hours resume on Thursday, July 5. Warm coats, mittens, hats - we have what you need to get through the season in comfort! We now have all clothing on 50% discount! The Pennywise Shoppe is always looking for more volunteers. If you would like to help out in the shop, please contact us. You may call the shop at 630-355-4451 and ask to speak with the manager or call the Parish Office at 630-355-0467 for more information.